In a bid to remain competitive in a global environment, enterprises are increasingly looking to move away from traditional phone services. Voice calling has been the backbone for business communication for decades but phone services have not kept up with the technological changes sweeping across other organizational workflows. For businesses that are interested in upgrading their voice communication systems, the obvious choice is VoIP. VoIP allows enterprises to route their phone calls over the Internet instead of the more expensive PSTN, thus saving them hundreds or thousands of dollars per month.It has its roots in the IP domain rather than the more traditional, telecommunication standards. 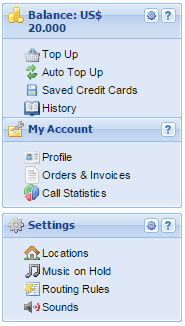 It is more flexible and integrates with many other enterprise services unlike the plain old telephone system. Though some larger organizations prefer to deploy VoIP through SIP trunking and on premise PBX systems, the popular choice for the majority of businesses remains hosted VoIP through a third-party vendors. VoIPstudio is a great example of a cloud-based enterprise phone system, which allows users to make and receive calls over the Internet without the need for any on premise equipment.An alternative to hosted VoIP is Skype for Business which has been recently unveiled by Microsoft. 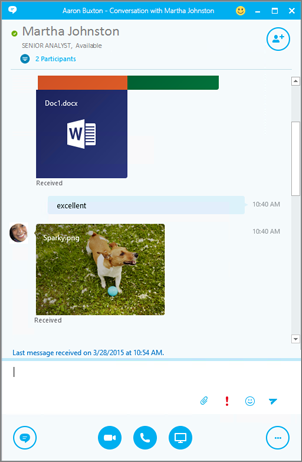 Skype for Business offers rich communication features to enterprise users through on premise server software. 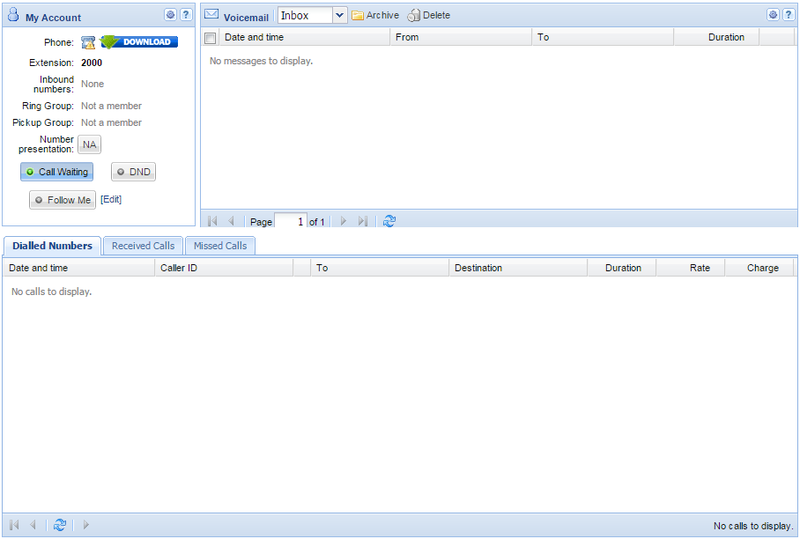 Though there is a Skype for Business Online service which is a part of Office 365, it is extremely limited as it does not actually provide voice services or the ability to connect with the regular PSTN service. In spite of the similarities between VoIPstudio and Skype for Business, there are substantial differences between the two that organizations should be aware of before making a choice. 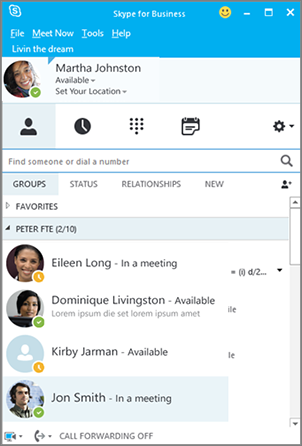 The biggest advantage of Skype is that many people are familiar with the interface from the consumer grade version for personal use. However, it is not a hosted VoIP solution which means that the organization still has to maintain the server and on premise equipment for telephony services. Its tight integration with other Microsoft products such as Office, Exchange and Outlook can be a significant advantage to organizations which already have licenses to those products. On the other hand, it also means that companies that have no need for these products may end up paying for them as part of the entire bundle. Enterprise licensing plans from Microsoft are extremely complex and expensive. Over the long-term, the organization may not see much of a difference when compared to traditional phone service. There are other limitations to the service as well. For one thing there is no emergency calling and Microsoft itself proclaims that Skype is not a replacement for landlines. 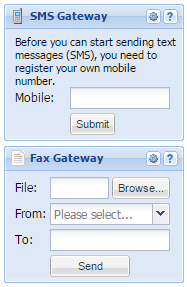 Important enterprise services such as fax are also not available, although third-party applications may be purchased in some cases. 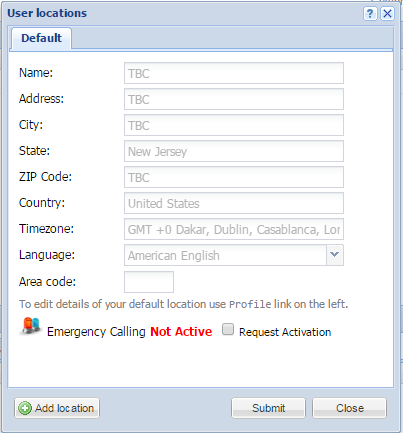 PSTN calling is limited to American businesses and a host of features are released to other countries much later than the US. Compared to Skype for Business, VoIPstudio is a true cloud solution for businesses. There is nothing for the company to manage – no on premise equipment, no PBX servers, no software. As long as the business has an Internet connection and IP phones (or computers with mic and headsets, mobile phones etc.) calls can be made and received. 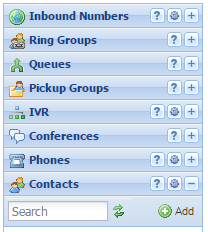 All basic and advanced telephony services are accessible through a web dashboard and the settings can be changed anytime. VoIPstudio offers critical enterprise services such as faxing and SMS gateways that can be set up in a few minutes. Enabling or disabling features such as call waiting, Do Not Disturb (incoming calls are directed to voicemail) and Follow Me is a one-step process. Administrators can configure group settings, manage enterprise-wide tools and monitor numbers through the dashboard as well. VoIPstudio also offers advanced features such as call parking, conference calling, IVR, ring groups and a host of other tools that have become crucial for enterprises. For today’s business users, accessibility is a key concern. With increased mobility thanks to smartphones and tablets, employees need to be able to make and receive calls even if they are traveling, working from home or away from their desk for any reason. Rather than forcing users to use their own in-house application, VoIPstudio allows clients to utilize their service with any mobile VoIP client. Employees are not restricted to a particular software and can use the app that they are most comfortable with or one which provides all the features they are looking for. Another important benefit is that emergency calling can easily be activated. VoIPstudio implements E911 which is a VoIP alternative for accessing emergency services. Enterprises do not have to worry about the ability of employees to receive help in case of a disaster. Businesses can set up inbound calling with local numbers in more than 4000 cities, allowing them to provide customized service to different market segments. An important distinction between Skype for Business and VoIPstudio is that since the latter is a hosted solution, it is much less hassle and virtually maintenance free for organizations. There is no need to purchase licenses for software, periodically upgrade equipment or assign dedicated personnel to maintain the phone system. Employees can be freed up to concentrate on more productive tasks that bring value to the business, rather than routine maintenance and troubleshooting. 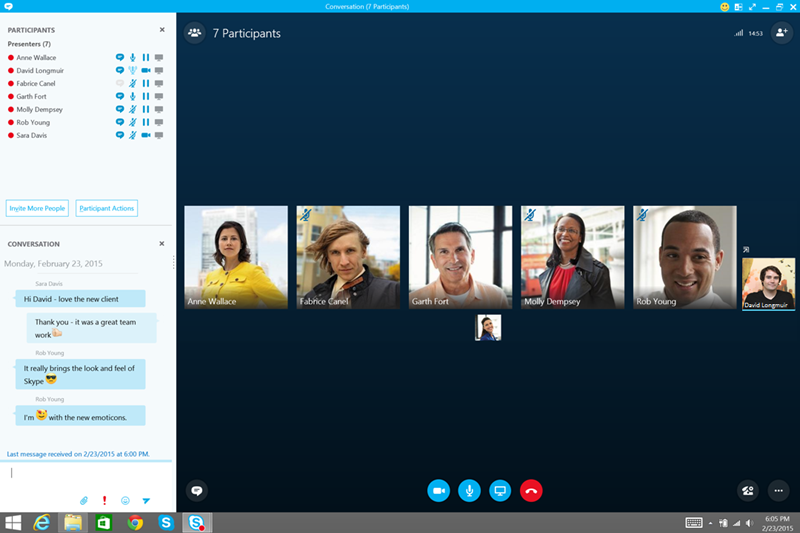 Skype for Business is just one part of Microsoft’s overall strategy for the enterprise market, along with Office, Exchange, Outlook, SharePoint etc. Given that the service itself was launched pretty late, it will be a while before it achieves feature parity with offerings from established vendors like VoIPstudio. Additionally, Microsoft does not have extensive experience with enterprise voice and VoIP communication, unlike its pedigree in productivity software. In contrast, VoIPstudio focuses exclusively on hosted VoIP for organizations. Clients are able to benefit from superior technical support, customer service and dedicated personnel if and when there are any issues with the service. At the end of the day, most organizations find that hosted VoIP provides more value in terms of both ROI and productivity improvements. Businesses can take advantage of cloud, mobile and VoIP technology from one experienced vendor instead of putting together their own solutions from bits and pieces of other software.